The Yum Cha Mood Comes! 14 Cafes & Restaurant to Gather this CNY! What’s your Chinese New Year plan besides getting stuck at home? If you’re the kind of do not have a lot of relatives, then this is surely a good plan for you and your friends! 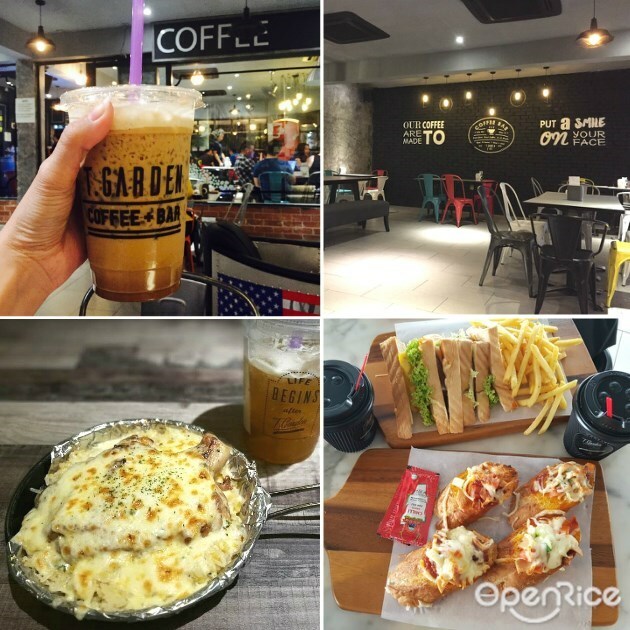 Gatherings and meet-ups at these places for some drinks and food, why not? Feel to enjoy something barbecued instead? Enjoy the variety of meat from the best seller of lamb, pork, and beef, all the meat cuts were fresh and nicely marinated. Full of flavors, grill them up and enjoy with your friends and family. Not forgetting beers are available too. A place for wine and dine, it’ll surely be one of the best choices to enjoy your time here especially when they serve delicious food especially the Asian menu, where you’ll see there are quite some tables savoring the Char Kuey Teow that is filled with fragrantly good. Brightly lit, corner lot and minimalist in design, come here for a cup of good brew and delicious food. Light bites like the salted egg yolk chicken wings taste good for a try, or something for sharing like the Pizza ring or Quad cheese calzone, this place makes it a great short meet up location too. Another place that’s quite crowded at night, you wouldn’t go wrong by ordering the signatures here! Come here for the aglio olio spaghetti, carbonara spaghetti, grilled chicken chop, and chicken burger; great food and place for a great time here. Open till late, this Tea Garden that is located at Mahkota Cheras makes it a suitable place to hang out especially after dinner time. 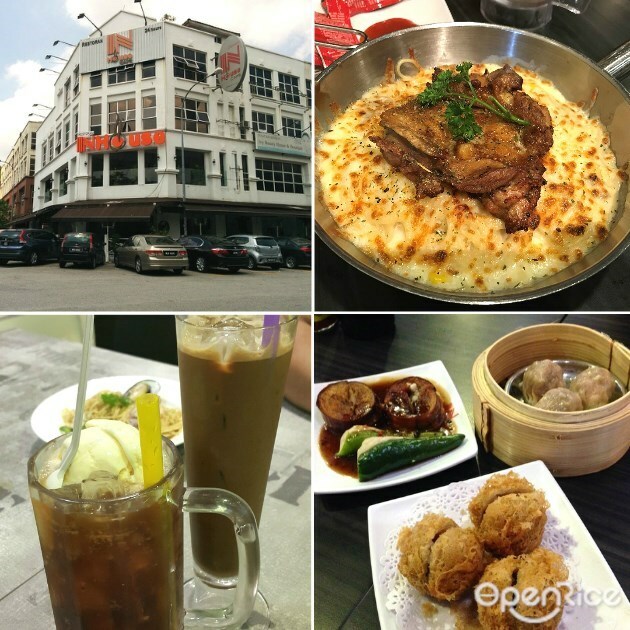 Serves Malaysian delights, Nasi Lemak, Kuih Malas, Mee Siam or the Hainanese Milk Tea, come here! Poppo Kanteen is famous for serving the local dishes that tastes really good. Famous for Nasi Lemak, the Sambal are to die for. Chicken rendang, Char Kuey Teow, Ayam Berempah, Kaya Butter Toast and their White Coffee will sure to get nods from you! 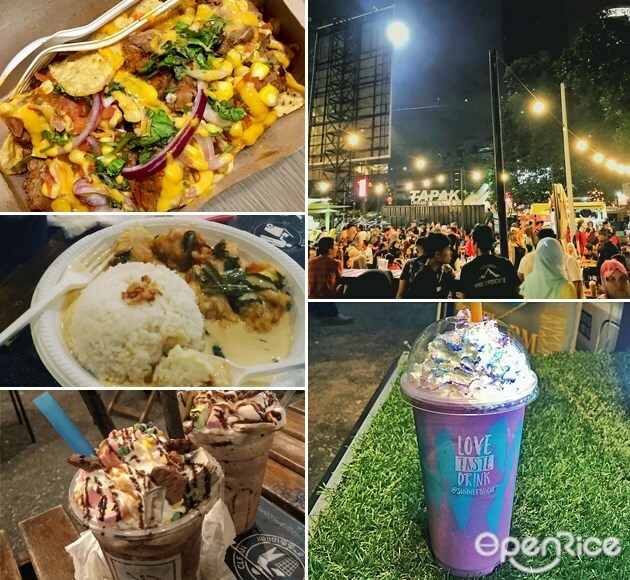 Located just beside Corus Hotel Jalan Ampang and walking distance from Avenue K, this place is filled up with food trucks and surely worth the visit. Quite some food trucks there that serve range from Western and Local food, many were here for the cheesy nachos, burgers and the corn milk! Serves HK-style food, which means you’ll get to enjoy the Char Chan Teng style dishes here! Fried Udon, Cheese Baked Rice, French toasts, club sandwich, lamb chop, spaghetti, Yin Yong tea and more – this is surely the place to be. Located at Kuchai Lama and Cheras, isn’t it so conveniently located at these both locations? If you’re looking for some seafood to enjoy, then head over to Jam Factory, at Puchong here. Pick your favorite seafood into the bucket, stuff them in the bucket and you’re paying for one price only. Apart from seafood & BBQ, they do have other hot cooked dishes to order from and they cater for gatherings too. Nice ambiance and spacious, try it out! At The Port, they are a container based café that serves western and local varieties especially street snacks! Usually crowded, go for the Nasi Bawal Power, Thai Food, Goreng Pisang Cheese, Tacos and so many more food to enjoy! Located near KLCC, they are spacious and this café’s concept is slightly different. Consist of different stalls inside; you’ll get to enjoy all sort of street food from different stalls – you will sure to enjoy the crowd here with your friends. Different food to pick from seafood, pizzas, Thai food, local Malay dishes, and more! They are too, crowded daily and you will see many youngsters gather around for a drink session with friends here and the ambiance here is filled with lively noises too. Serves a variety of food here, this makes it one of the best place to chill and hang out with your mates! Open for 24 hours and serves a variety of dishes that include Dim Sum, local food, and western fusion food; In-House café will surely be a place that is good for meetups and gatherings as it is spacious and can cater larger crowds. Located at Subang here, many were seen recommending this place for the brunch dishes. Serves comfort food like pasta, lamb shank, sandwiches coffee, tea, and desserts – did we mention they were spacious too? Taking over the space of an industrial factory, you’ll sure to enjoy this place.